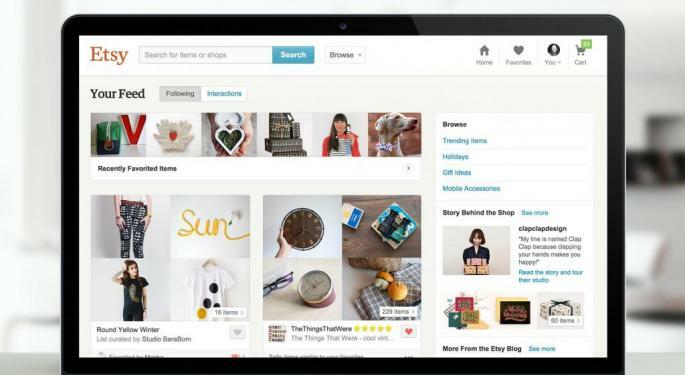 Etsy Inc (NASDAQ: ETSY) shares soared Tuesday after reporting a big fourth-quarter earnings beat. The company also reported active buyers on its platform grew 18 percent in the quarter. Wedbush analyst Ygal Arounian said that while Etsy’s quarter was impressive, with the strongest GMS growth since the company went public, Etsy’s tone moving forward was prudent. “Despite, the strong quarter and guide, the tone of the call felt a little more cautious. Management pointed to uncertainty around consumer spending in 2019 and a soft start to 1Q19 due to a pullback in marketing investment, just launched new product initiatives, and FX headwinds,” Arounian wrote in a note. 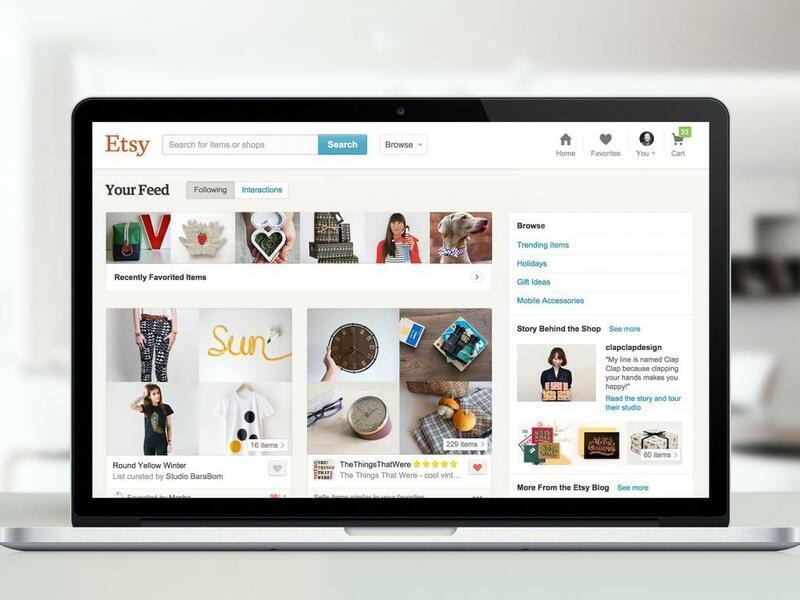 The analyst says investor attention turns to Etsy’s Investor Day set to be held March 7. Arounian maintained a Neutral rating on Etsy and raised his price target from $50 to $60. Morgan Stanley analyst Brian Nowak also noted Etsy’s cautious tone, but said the company has a history of taking a pragmatic approach with its guidance. “To put the 17-20% guidance in perspective, ETSY grew GMS 21% in ‘18 after initially guiding to 14-16% in 4Q18. We think a key point of contention will be around ETSY’s commentary on the cadence of ‘19 GMS growth, with a soft start to 1Q due to a pull back in marketing spend, transitioning product initiatives following the holiday season, F/X headwinds, and a slowdown in macro consumer spending,” Nowak wrote. The analyst maintained an Equal-Weight rating with a $49 price target. Keybanc analyst Edward Yruma took a more bullish stance, saying Etsy’s story is one of the most compelling in his coverage as the platform improvements and clarity of operational focus “are making the flywheel spin faster." Yruma sees significant long-term growth opportunities and is increasingly confident in the company's international growth prospects. Yruma maintains an Overweight rating and raised his price target from $59 to $75. Etsy shares traded at $67.82 at time of publication, up 14.9 percent on the day..